Social Justice Symposium for Teens – Register Now! Parkway Central is hosting a Social Justice Symposium for Teens on Monday, August 29th and if you are a high school student who is passionate about your Philadelphia community and care about issues such as racism, inequality, or injustice, then this event is definitely one that you won’t want to miss! In addition to a keynote talk by Renée Watson – author of This Side of Home, A Place Where Hurricanes Happen, and Harlem’s Little Blackbird – the symposium will also feature discussions and workshops to address social justice issues in smaller groups led by adult mentors and community leaders. Registration is required for this event, so be sure to call 215-685-6621 or email hoopese@freelibrary.org to sign up. Students who pre-register and attend the entire program will receive community service hours, free books, SEPTA tokens, and a gift card! 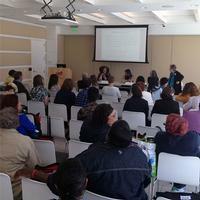 There will be two discussion sessions on these important Social Justice topics at Frankford Library and Philadelphia City Institute Library this week in advance of Monday's event. Please stop by and participate if you can! A view of Parkway Central's 4th Floor Skyline Room, where the Social Justice Symposium for Teens will take place. 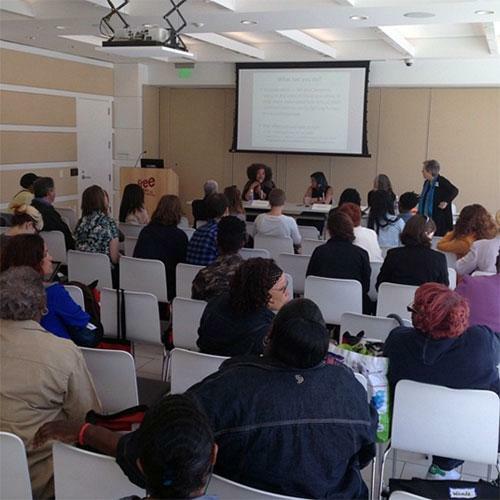 Add a Comment to Social Justice Symposium for Teens – Register Now!